Svensson & Wikmalm creates leadership, development and action, together with people in groups and organisations. We have worked with managers and specialists from a wide range of businesses and we have over 20 years of experience in this field. We work with a long-term perspective in mind. 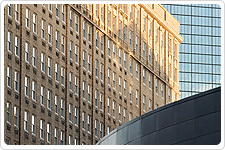 Many of our clients return to us time and time again, and a few of them have even been with us from the beginning. We build upon what is strong and vigorous in order to highlight what your specific challenge is. Appreciative Inquiry is a method for creating positive change in organisational systems. Appreciative Inquiry aims to identify strengths within an organisation rather than weaknesses and problems. This is based on the assumption that organisations move in the direction of the questions asked within the organisations and that common visions of the future can be created by bringing positive circumstances and stories to light by means of interpersonal interaction. 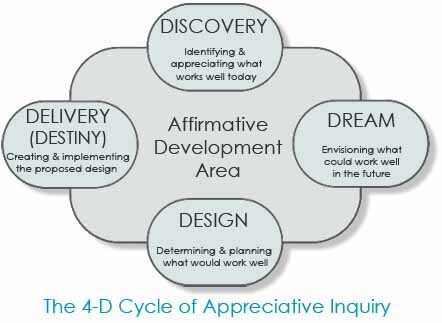 In other words, the Appreciative Inquiry method is about looking for the positive core of an organisation, and appreciating it, by asking the right questions and by using the answers as the foundation for future growth. The Appreciative Inquiry approach emerged in the 1980's and is now a recognised practice which is used all around the world. It originated in the U.S. within the framework of action research. David Cooperrider and Suresh Srivastava at Case Western Reserve University developed the theoretical basis for the approach and its fundamental ideas. AI has been used successfully within a variety of business areas and other sectors, for example, health care, education and local government, in order to facilitate a number of aspects, such as better work climate, teamwork, improved service and quality, leadership development, increased sales and savings and commitment to organisational changes etc. The participants explore the current strengths of the organisation and describe how the organisation functions when it is performing optimally. This is done by means of structured interviews, which include questions that are designed to identify positive aspects. This phase is often carried out as a large group conference with the help of facilitators, where the participants are encouraged to envision their organisation as they would want it to be based upon the previously identified strengths and peak moments. Smaller teams go away and plan how the visions of the dream phase can be brought about, e.g. by formulating a number of positive statements that describe what the organisation will be like after the development process has been completed. In this final phase, action plans are formulated and teams are formed in order to deliver the new design. This step may involve experimentation and improvisation, as well as additional small-scale appreciative inquiries into specific areas.